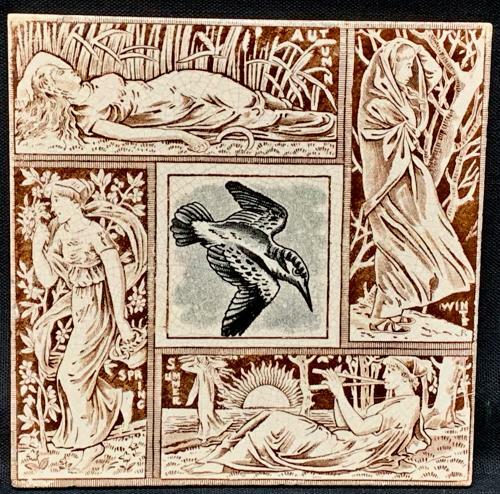 This large Victorian aesthetic movement 6 " x 6 " Victorian tile is transfer printed in dark brown. Four rectangular panels along the border contain maidens in midlevel dress representing Spring, Summer, Autumn and Winter. The center image in black transfer is of a Kingfisher in flight.